Are you ready to try out a new product from the 2013 – 2014 Annual Catalog? Here is your chance! A Round Array stamp set is available to purchase now! This set coordinates with the Stampin’ Up! 7/8″ Scallop Circle Punch, available in the 2013 spring catalog. 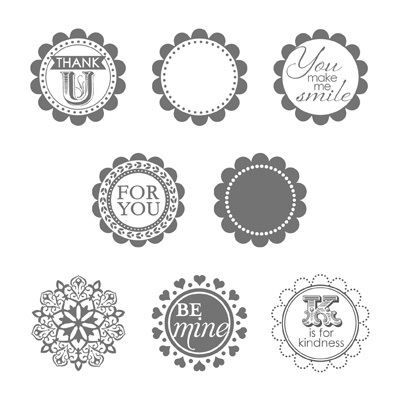 Purchase the A Round Array stamp set and 7/8″ Scallop Circle Punch together as a bundle, and save 15%! You can see the details here. Now is the time to order!! 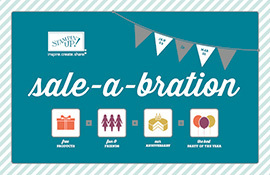 Friday is the last chance for Sale-a-bration. So place your orders today! !